Sculpt you image with professionally designed and printed promotional items. You only have one opportunity to make a first impression. 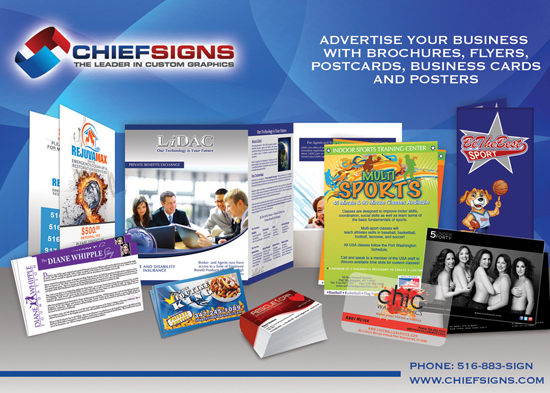 Create a professional image with promotional print items designed and produced by Chief Signs. Work directly with one of our professional designers to create and develop your image, and stand out in a crowd.